The winning combination of sun and sea in Greece makes for a great source of happiness and rejuvenation for all ages; however, for people with mobility problems, while the sea offers an opportunity for a sense of freedom, actually getting into the water is often such a tough feat in itself that many don’t bother. Thankfully, this summer wheelchair users have multiple destination options which include accessible beaches. Greek-made Seatrac systems utilize a fixed-track mechanism powered by solar energy which has already been installed at 49 beaches across the country. “A few days ago, Saranti beach in Viotia was fitted out with a Seatrac system, and next week we will add another two in Dilesi and in Antikyra [also Viotia], which will take us past 50 installations all over Greece,” notes a Seatrac executive with experience in Cyprus and Italy. 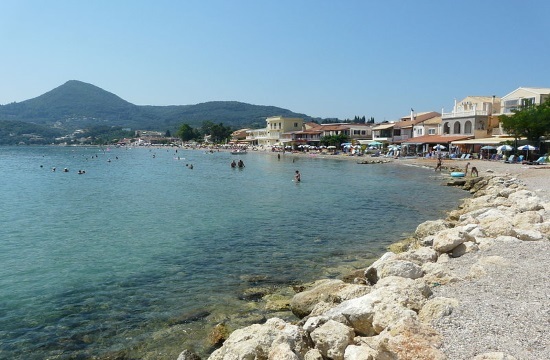 Nevertheless, the friendliest island for wheelchair users is Corfu, with a total of 21 beaches that are truly “open” to all. The Ionian island has only had one Seatrac system installed to date, but local authorities have been working since 2014 to provide Corfu beaches with floating wheelchairs and ramps that offer direct access to the sea. These facilities enable people with serious mobility problems to get into the water and swim or simply to sit and enjoy the sense of weightlessness. “Assistance is only needed to place the person on the seat, where they are also supported by a safety belt, but in the sea, they can be alone,” says Andreas Skoupouras, Corfu’s deputy mayor for welfare and social policy and chairman of the Corfu Prefecture Association of People with Special Needs. “We have tried to distribute these seats as equally as possible around the island because we do not intend to turn the beaches into ghettoes,” says Skoupouras, who is the driving force behind the initiative. Facilities for the mobility impaired are being installed by owners of coastal businesses who also take care of security and maintenance. At the same time, Skoupouras is planning to have six more ramps installed on the island’s beaches. “These past few summers families with mobility impaired members have been coming here from Italy, France, the Netherlands and Germany so they can enjoy themselves without anyone being left out.” Skoupouras is confident that Corfu is a pioneer island on a national and global level. “There are only 25 installations like this in the whole of Brazil,” he points out. Corfu has been nominated for next year’s accessibility award by the European Network for Accessible Tourism, a Belgian-based nonprofit organization that seeks to promote improved access for tourists in European countries.